What are the principal qualities of a great fighter? What does it take for an ordinary person to realize his or her own potential? Try our our Brazilian Jiu Jitsu program here in Vancouver and see for yourself. Students experience results that go beyond gains in strength, flexibility, fitness or self-defense skills. By remaining truthful to the lessons learned in practice and applying them off the mats, Gracie Barra Vancouver students experience an overall improvement on their focus, energy and general well-being. 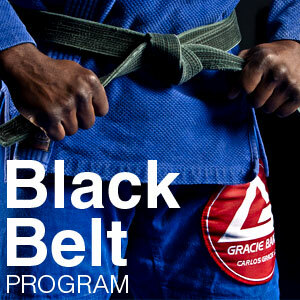 Black Belt ProgramCan someone master Brazilian Jiu-Jitsu? Is there an end to the Brazilian Jiu-Jitsu journey?